The dazzling debut from a brilliant new fantasy talent. 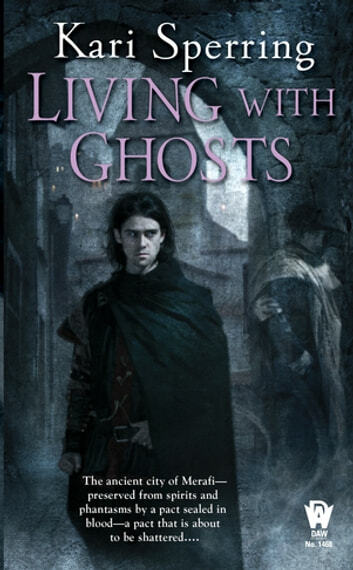 This highly original, darkly atmospheric fantasy novel immerses readers in a world where ghosts and other malevolent spirits seek entry into mortal realms—invisible to all but those who are not entirely human themselves. Drawn into the ancient city of Merafi, yet barred from entering by an ancient pact sealed in blood, these hungry haunts await their opportunity to break through the magical border and wreak havoc on the city’s innocent denizens. 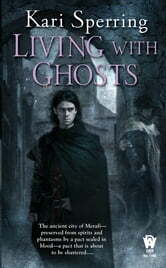 And as a priestess and prince weave a sorcerous plot to shatter the pact and bring ruin on Merafi, only a failed assassin-priest who is now a courtesan, a noble lord married into the ruling family of Merafi, an officer of the city guard, a woman warrior who was the former lover of a now-dead lord, and the ghost of that lord himself stand between Merafi and the tidal wave of magic that may soon bring ruin flooding down upon the city.